As a family‑owned and family‑operated company specializes in residential, commercial, agricultural and industrial garage doors, we are proud to serve Norton Shores for over 45 years. 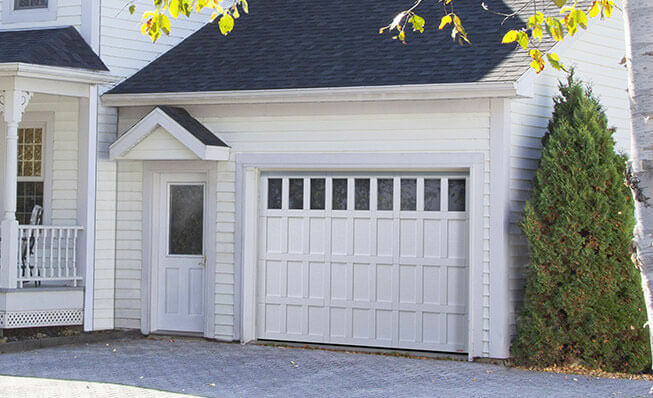 If you have garage door needs, you can call us at 613‑453‑0164 or fill out our online form. Need a garage door repair in Norton Shores? If your garage door no longer works like it used to or if you are experiencing issues, Environmental Door can help! No matter if you need springs, cables or rollers repair, call us at 613‑453‑0164. We also serve Grand Rapids, Allendale, Zeeland, Muskegon, Georgetown Township, Holland, Ottawa County, West Michigan and many others. With a population of 23,994, Norton Shores is a city located in Muskegon County, on the shores of Lake Michigan. At Environmental Door, our priority is to provide our Norton Shores customers with garage doors that harmonize their home architecture, such as Colonial, Craftsman or Cape Cod. You can design your own door in our Design Centre. Whether you need a garage door repair service in Norton Shores or springs replacement, we can help you. At Environmental Door we have many replacement parts on hand, as well as accessories to decorate your garage door. Need to install your new garage door? Our technicians can do this too! Contact us for more information. We are selling the best garage doors in Norton Shores, and pair with it we have the best openers from LiftMaster. These high‑quality openers are reliable and will make your life easier. Trust the best for all your residential, commercial, industrial and agricultural needs. You want to have a garage door that will help you keep a constant temperature in your garage, whatever the season. Since we serve your area for many years now, we know well the weather. This explains why we recommend an insulated GARAGA garage door such as the Standard+ model. With its R‑16 thermal resistance, this door will provide you a superior efficiency. Take a look at our image gallery to discover available options.